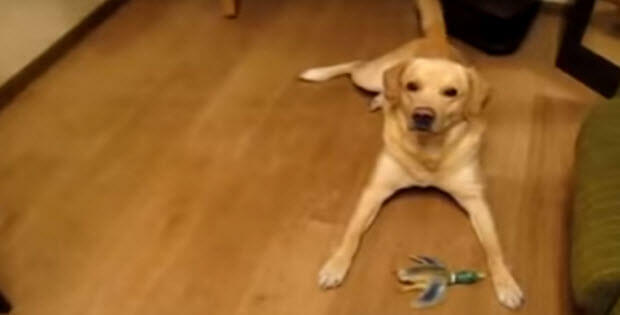 This Labrador pooch has a special talent, which even he didn’t know he had. 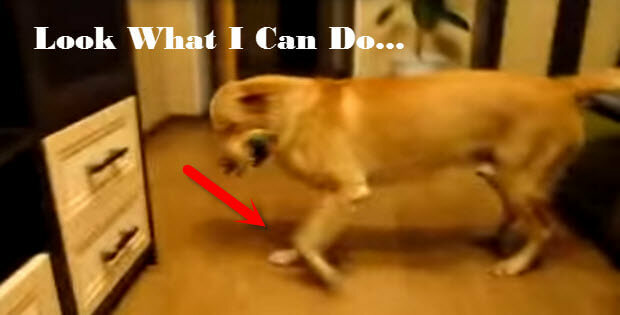 The floor is apparently is a bit slippery for this cute Lab, and when sometimes, he walks around on it he has to keep his balance and apparently tap dance at the same time and it is amazingly cute and funny. is going to have hip problems if they don’t put some rugs down for it. They do need to put a rug down for him. I agree that the future holds major problems for his hips & joints if they don’t. 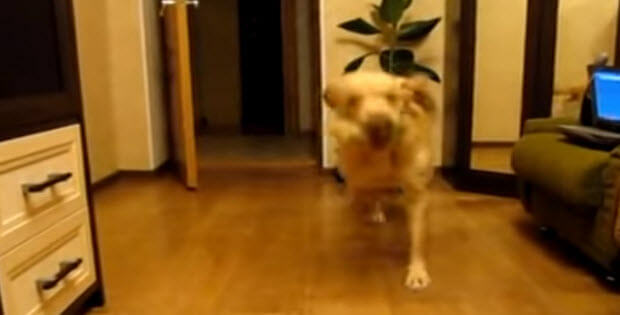 Try cutting his nails !